Should Steam Workshop Mods have a separate entries for each Alpha Release or a single entry that gets updated? How would people prefer I handle the New Alphas on Steam? After the Official Release update the existing Entry of mods to the new release as I have been doing previously. Or Create a new Mod Entry for each Alpha. I thought about it and I dont have a strong preference right now, so I figured I would put up the poll and see what everyone prefers. So feel free to comment and vote in the Poll. This is a continuation of my previous mod from A12. Rather than a single mod with multiple parts I have split them up into separate mods as much as possible.Please let me know if you think something could be changed or is unbalanced. Note that mods are only listed against their most recent Alpha version, but may be available for previous version on GitHub. To download go to the specific mod that you want to download, click the link to take you to the GitHub release section, download the Release file, do not get the source files, I make no guarantees that they will work. This is a github repository that should contain the latest and previous downloads. Press the green button and then download .zip if you dont know what to do. Mods are also be available on the steam workshop. This mod allows you to place shield generators. They are expensive and power hungry but can really strengthen your defences. The shields will stop projectiles that try to enter it, but allow weapons to be fired out. Note that the Current Release is called ED-ShieldsBasic. ED-Shields Is a work in progress / planned rewrite. ED-ShieldsBasic contains all the functionality from previous versions. Based on the Origional "More Vanilla Turrets" by Marnador. A mod that adds more turret variations with the attempt to keep their vanilla art style. Currently this is almost exactly the same as the A12 version by Marnador. Modified the existing Vent System by allowing the Vents to be closed. Adds a Vent System that allows you to Equalise the temperature between two Rooms. Uses a modified cooler graphic, does not matter what direction it is placed. Power it on to equalise the temperature between two rooms, power it off to keep the temperature separate. Made out of Stuff, has the same health as a wall made from that stuff. Except for the power switch none of the buttons will do anything. Adds a Reinforced version of some Stuff. This allows for stronger constructions. Reinforced stuff has 10x the hitpoints but at 5x build time. Reinforced Stuff is made from 10 Normal Stuff in a Molecular Reinforcement Compressor. Currently Reinforced Stuff can be made from Steel, Plasteel, Wood and Stone. While this does not Require the ED-AutoLoader mod, I find it helpful and looks better than the Molecular Reinforcement Compressor taking the resources from the ground. 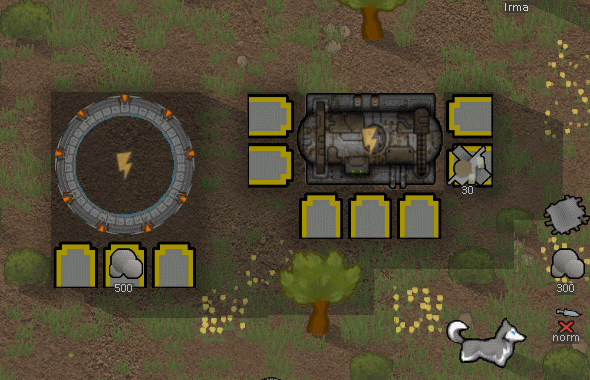 This Mod adds a building called an Autoloader that can be used to supply things to certain buildings. If a building in a mod can use it then it should be listed in the description of that mod. 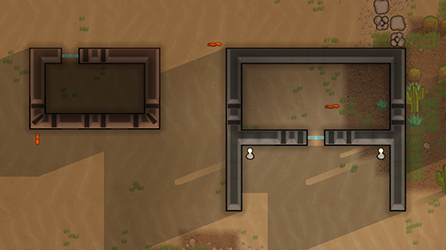 This is functionally identical to a Hopper in the base game, but accepts a wider variety of resources without cluttering the stock Hopper or causing incompatibilities with other mods. This will not do anything by itself, but is intended as a helper for other mods. The module changes the plants to grow 24 Hours a day. In the base game plants will rest at night time and stop growing, regardless of the light levels. This removed that restriction so plants will keep growing, if all the other conditions such as light are still met, allowing your sunlamps to effectively increase the growing speed. ED-Plant24H from 02.00.00 onward is a Complete Rewrite of the mod. Now requires CCL due to use of Detours. * Should no longer require Compatibility patches to work with modded plants. * Delete the old version of the mod and any existing Compatibility patches as these will now cause Errors. * This will not be save compatible with the 01.00.00 version of the mod. From Version 04.00.00 onward Harmony is used, this is included in the download. 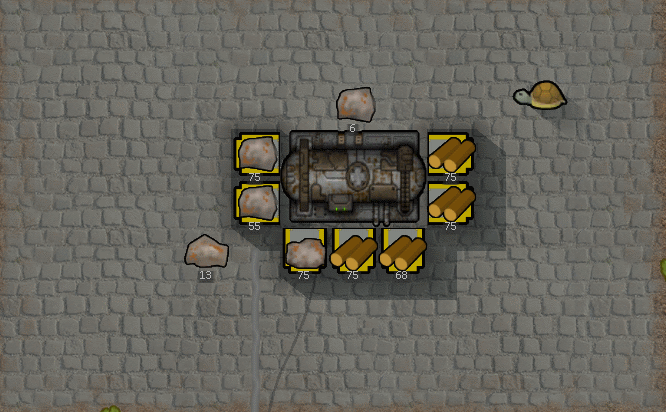 This mod allows you to have a renewable source of various materials. Allows you to creats a moat that can be used to slow People and Creatures. Allows creation of a Device for contacting passing ships at a distance and guiding them to your colony.